Courtesy of JANICE KIMBALL, Century 21 A Better Way. This home offers peaceful, easy living tucked up to the base of the mountain, snug in the woods. Energy efficient with geothermal heat, enhanced by quality construction. You and your family will enjoy years of comfort and joy. Featuring an open floorplan with a corner gas fireplace in the living room. There are spacious work areas in the kitchen with quality cabinetry and granite counters throughout. The master suite offers a walk-in closet and lovely master bath with a Jacuzzi and over-sized, glass surround shower. The full basement is partially finished with a game/media room to use when you’re not outside thoroughly enjoying the backyard and the perfectly natural peace of the surrounding woods from the deck or settled on the patio enjoying margueritas! Ease of access on a well-maintained ROW with a paved drive to the 3 car garage. For those with an RV, there is a separate parking space with power for your unit. 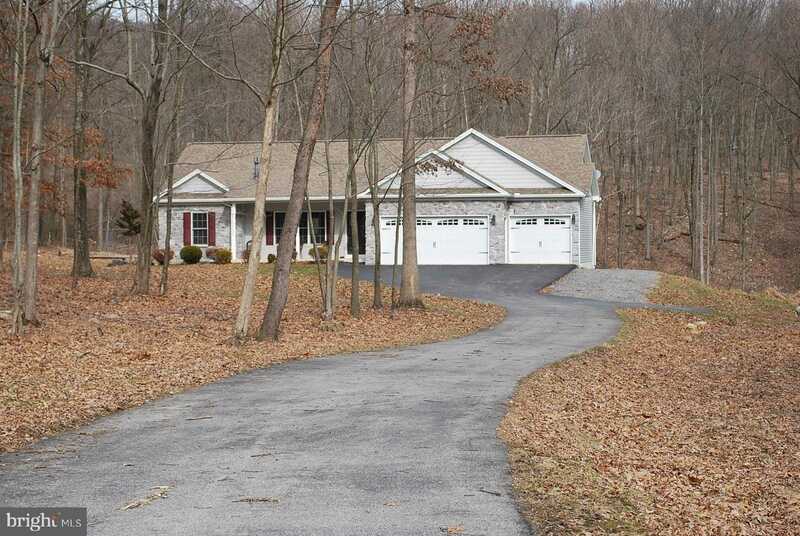 Please, send me more information on this property: MLS# PACB109054 – $327,000 – 105 Teebird Lane, Newville, PA 17241. I would like to schedule a private showing for this property: MLS# PACB109054 – $327,000 – 105 Teebird Lane, Newville, PA 17241.